Tom King Aerial is one of the leading aerial advertising companies to provide stunning sky commercial campaigns. As an innovative Ad Agency we founded “Twitter in the Sky” – an ultramodern tool for brand recognition. We provide all methods of aerial advertising day and night: Our “love is in the air” plane for personal messages and our night show plane “UFO” and also sky typing. We also fly high quality aerial billboards over prime event locations nationwide. Our banner planes fly unique sky ads along Southern California Beaches, Concerts, Festivals, NASCAR, Indy Car, Spring Break, Conventions, Rush Hour Traffic, Football, Baseball, State Fairs, Parades, Cruise Lines and even over your private party. With the biggest range on 7 ft. letters and special signs in Southern California we offer our clients the most competitive price and service. 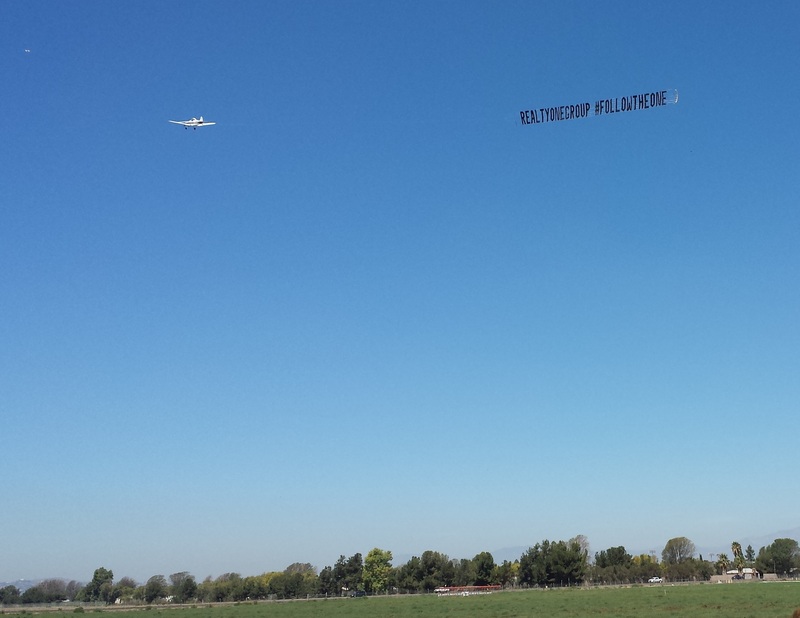 Tom King Aerial Banner pick up to fly a Real Estate ad.